Hiking is a great hobby and a fantastic way to see the beautiful world around us. It’s also excellent exercise and can help keep you fit and prepared should the worst happen. When we talk about the equipment required for hiking we often think of backpacks, a good jacket and most importantly great boots. However, the best boots in the world won’t offer comfort if you’re not wearing the best hiking socks. The humble sock is essential when caring for your feet. You can have all the best gadgets, but without your feet you won’t be going anywhere. With this in mind, we’ll discuss the merits of wearing good quality hiking socks and why it is important to so, as well as what materials good socks are made from and other desirable features. Finally, we’ll review eight of the best and most popular hiking socks on the market at the moment. Wearing the wrong type of socks when hiking can lead to many problems, including blisters, cold, damp and sweaty feet, overheated feet and problems with grip. These can all be uncomfortable issues but can become dangerous if conditions change. 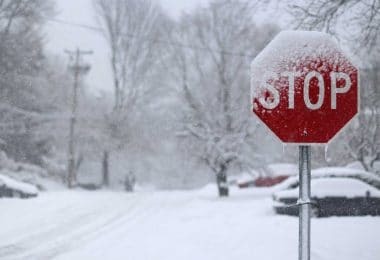 If for example, you are out in an extremely cold weather and your feet become wet, they will soon become very cold, which could lead to frostbite. Listed below are some common problems caused by poor sock choice. Blisters are uncomfortable and unwelcome on any hike. Starting off as a mild annoyance, the issue can escalate if they become infected, a bad condition to be in if on a long hike, three days from anywhere. Sweaty feet are prone to smell. Foot odor is not the end of the world, especially when out hiking, but it can easily be avoided. Aside from the odor, sweaty feet are more prone to rubbing, chafing and developing sores and other ailments. Feet need to breathe to be comfortable, and the wrong sock will prevent this. Socks slipping may not sound too drastic and may be considered only a mild annoyance, however, if your foot is moving about in your boot, you are more likely to twist an ankle among other issues. Cold and wet feet can develop many of the same issues as sweaty feet, as well as frostbite in extreme circumstances. With the correct pair of hiking socks, the above problems can largely be eliminated, and you’ll discover several benefits. The only disadvantage hiking socks have over regular socks is the additional cost. However, these socks are bound to far outlast your regular pair of cotton socks. Everyday cotton socks are fantastically comfortable and easy to look after, but for more extreme activities they will soon fail you. Cotton absorbs moisture and holds it, so any sweat from your feet will be absorbed into the sock and will stay there, encouraging rubbing and chafing. They’re also quite thin and offer little protection when it comes to blisters, and are prone to moving around and slipping while worn with boots. Considering our feet need to anchor us to the ground to avoid falling, this can be concerning while out and about on a trail. There are far better materials out there that can offer us everything we need from a good hiking sock, though there is some debate as to which is best. Wool socks are desirable, with merino wool being particularly popular due to the increased comfort and reduced itchiness many people suffer from The best merino wool socks may not necessarily be 100% wool, but will instead be mixed with synthetic materials, to improve durability and encourage the material to stretch the best way, ensuring a good fit. Synthetic materials fall into two categories, those used to insulate and those used for their moisture wicking properties. Both types work in the same way as wool but dry quicker and are generally more durable and resistant. 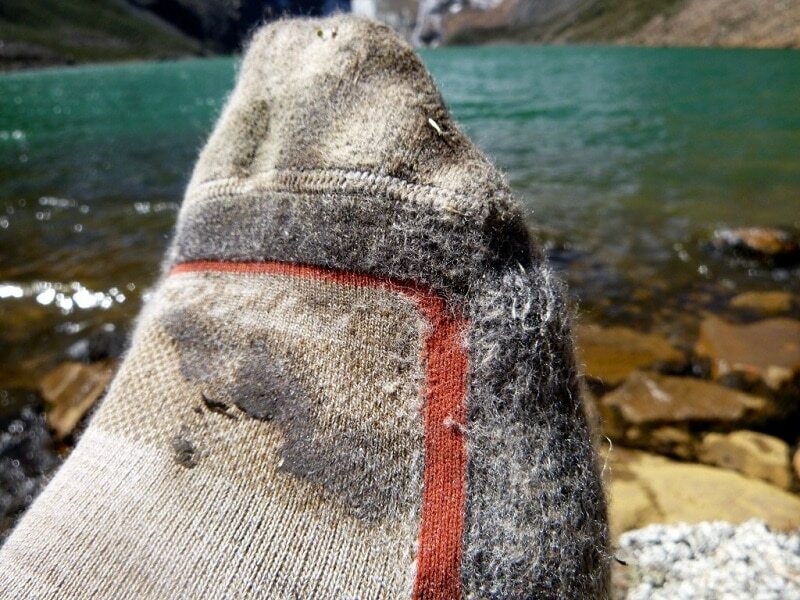 Some great hiking socks are made using only synthetic materials. Tencel is becoming an increasingly popular material. It’s an environmentally friendly fiber derived from wood cellulose which is comfortable, stretchy and durable. Finally, most hiking socks will incorporate a small percentage of stretchy material such as spandex, used to ensure the socks keep their shape and prevent them from slipping and bunching up. When choosing a pair of hiking socks you will soon discover there are a great many options out there from ultra-light, low cut running socks to thick, heavy mountaineering types. It’s worth considering the kind of conditions you’ll be subjecting your feet to when choosing socks. 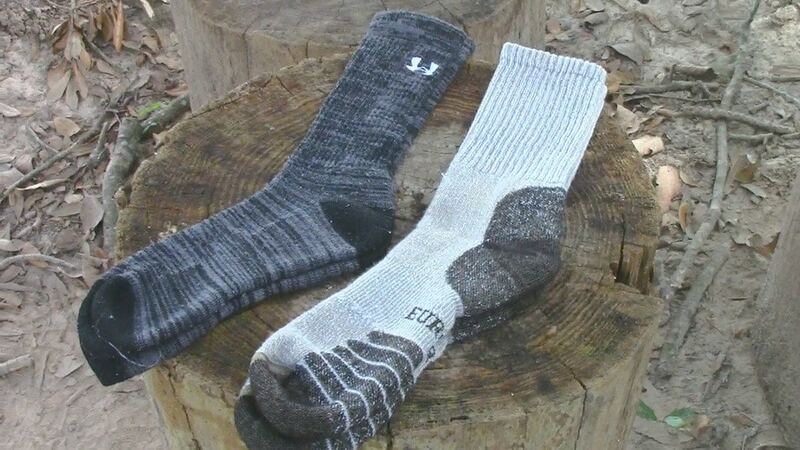 Hiking socks can be chosen by their height and weight. The height is how high the sock is worn, from trainer style socks to knee socks. No show: sits below the ankle and is suitable for use with running shoes or lightweight hiking shoes. Not recommended for use with boots. Quarter/mini: sit on the ankle and can be worn with shoes. 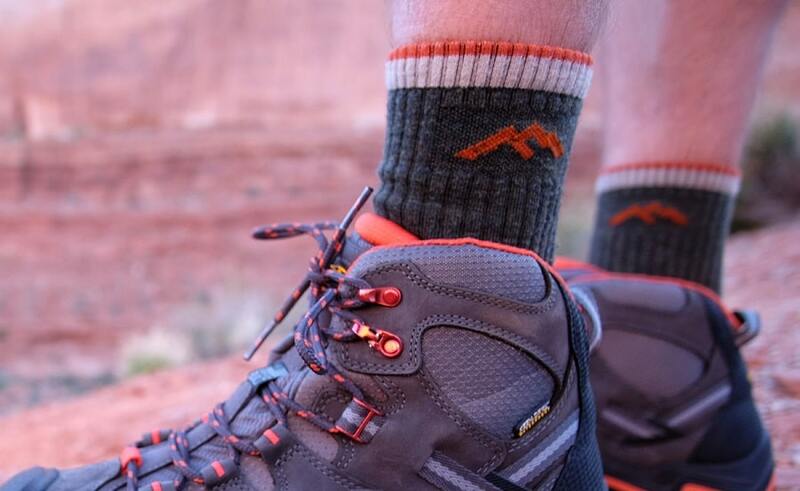 Crew: The most common height for hiking socks, these will sit over the ankle and over the top of most hiking boots. Micro crew sits a little lower. Knee high: Typically not necessary for anything other than extremely cold weather activities. The weight of the sock corresponds to the thickness of the material and ranges from ultra light to extra heavy. Lighter weight socks are suited to warm conditions, whereas heavier weights are more suitable for extremely cold weather. A good mid-weight sock will perform well in a variety of conditions, with the exception of the extreme ends of the spectrum, and many offer additional padding in key areas such as the heel and the ball of the foot. Thicker socks will offer the most cushioning and are ideal for tough terrain. Sock liners are ultra-thin and are designed to wick moisture efficiently and effectively. They do not offer any kind of insulation however, and are designed to be worn under another pair of socks, most commonly medium weight. Description: This fully synthetic, ultra-lightweight hiking sock enjoys great feedback and it is easy to see why. Wigwam Men’s Ultra Cool-Lite Ultimax Ultra-Lightweight Crew Sock are ideal for warm, humid weather hiking and will allow your feet to breathe and more or less keep them odor free. The material fits snugly and the socks will generally stay in place all day, with no need to keep pulling them up. One criticism is that they are perhaps a bit too tight, and you may be better off buying a size up from normal. They are unisex in size which can explain why for some people they are tighter than they were expecting. Also, they are quite a long sock, despite being sized as a crew sock, which could be an issue for some people. On the plus side they do well at preventing blisters and odor, keeping your feet fresh day after day. 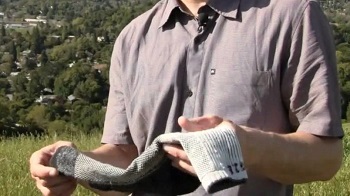 Finally, they dry very quickly, with hikers saying they have hiked for over a week using just two pairs of these socks. While they may not be wool, they share many of the qualities of a pair of merino wool socks. Best Use: General hiking trips, casual wear. 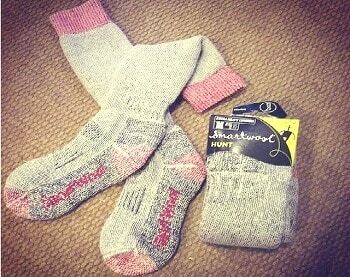 Description: This comfortable and durable sock is well received in the hiking world. On the whole, these Wigwam Men’s Cool-Lite Hiker Pro Crew Socks keep feet dry and comfortable, prevent odor and are fairly long lasting. The moisture control system works wonders and the cushioning ensures that your feet will stay comfortable and protected through anything your hike throws at you. Also available in more subtle colors, making a good everyday sock there is little to complain about. The size seems to be a negative point for some people however, with the occasional comment mentioning that the socks are far too small, and are thus tight on the calf. For some people they are also too short for a crew sock and they feel the need to constantly pull them up. This is possibly due to shrinkage after machine washing on an incorrect program, or using a dryer to dry them. Follow the manufacturer’s instructions for best results. These socks do dry very quickly naturally so there really is no need to use a dryer. Overall, for the price you pay, these are a very good and affordable option. 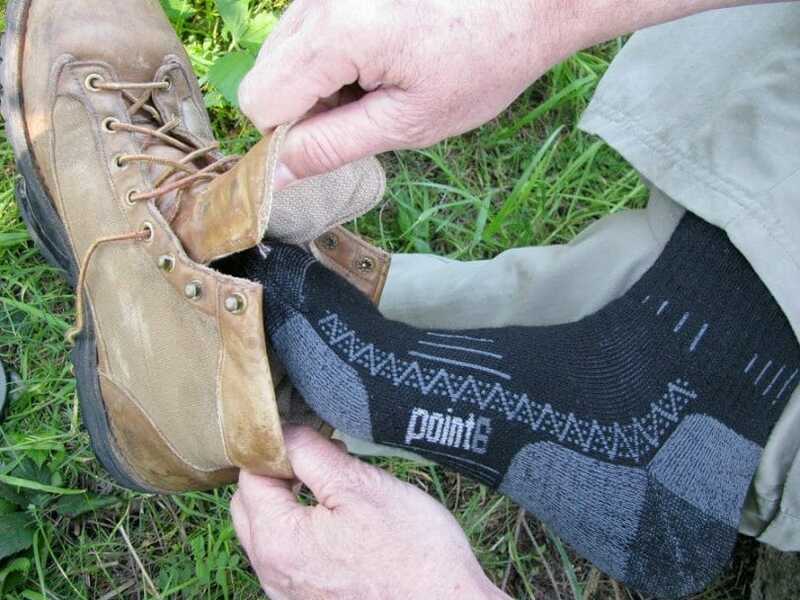 Related products: All Terrain Hiker Socks – the midweight version of the above sock. 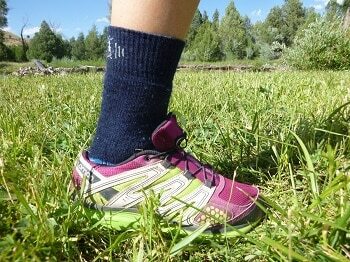 Description: If you’re looking for a comfortable, lightweight sock for less strenuous hiking or for exercising, these Wigwam Single Trax Pro Socks are well worth considering. Constructed using materials offering excellent, rapid moisture wicking properties, including merino wool and Tencel, your feet are bound to stay sweat-free and comfortable. The cushioned sole ensures you will be comfortable when out and about and helps to prevent blisters. On the whole, people are largely impressed by these socks and have little to say against them. The only criticism again comes with regards to the size being perhaps a little bit snug, but in general, if you stick to the size guide you should be ok, though perhaps order a size up if your foot size is on the upper spectrum of the size guide. Aside from that, the socks are fast drying, and make for a good pair to have around the campsite because of this. They wash well in the machine and do not tend to shrink. Just ensure the manufacturers recommendations are followed, and wash them inside out for best results. 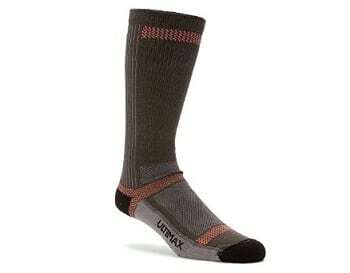 Related products: Trail Trax Pro Socks – additional cushioning for use on harder terrain. Description: These fantastic, hard wearing Darn Tough Vermont Men’s Merino Wool Micro-Crew Light Cushion Hiking Socks are a great choice if you’re looking for a sturdy, comfortable sock for life. While they are a little pricey, they come with a lifetime guarantee, so when they eventually do wear out you need only pay for shipping and they’ll send you a new pair. Not too bad at all. They are a thoroughly durable sock as well, with many hikers having had the same pair for several years and they’re still going strong. Merino wool ensures excellent moisture wicking, and combined with the almost seamless design, creates a sock that is both practical and comfortable. Some complain that the socks are a little too tight, in particular on the calf. Also, they are not as long as similar socks, sitting just above the boot, which for some people is a desirable trait, but others are not too keen, especially those wearing higher boots who are prone to rubbing from the ankle support. 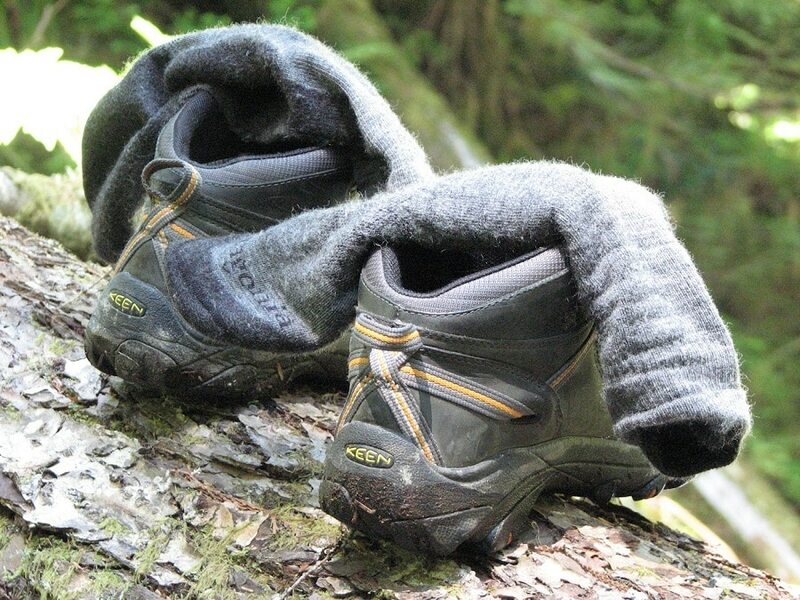 Related products: Hiker 1/4 Sock Cushion – the quarter version of the same sock for use with hiking/running shoes. 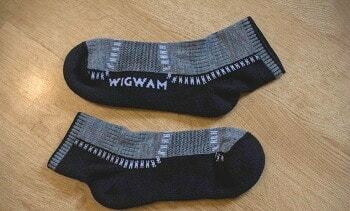 Description: An excellent winter sock that will fit snug and keep your feet warm, dry and sweat free. The main material is merino wool, ensuring the moisture wicking properties are excellent, and that your socks will be largely odor-free, even after several days of hard use. Smartwool Men’s Mountaineering Extra Heavy Crew Socks keep the warmth in when it’s cold out, but some people have worn them through the summer months and found that they will still allow your feet to breathe and keep them relatively cool. There are issues with the socks shrinking after washing, but they generally run a little large anyway, so bear this in mind when purchasing. They are very thick, which is excellent for keeping your feet warm, however, this may be an issue if your boots are on the tight side. The cushioned sole is a great feature and provides great shock absorption. One issue people have had with these socks is that the elastic around the ankle tends to loosen over time, which can be quite uncomfortable when out and about. On the whole, however, they are durable and with proper care should last several years. 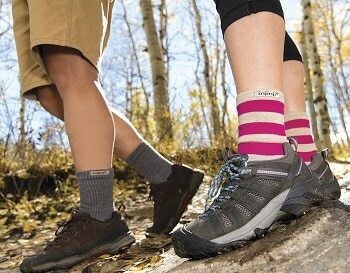 Related products: Trekking Heavy Crew Socks – the slightly lighter version of the above product. Description: With their separated toes these Injinji 2.0 Outdoor Midweight Crew Nuwool Socks immediately catch your attention. Initially one might think that they will feel strange to wear or be awkward to put on, but many people have been surprised at how comfortable they actually are. This design is excellent for preventing blisters and wicking sweat from the toes, keeping your feet warm and dry. They are ideal for anyone who has issues with their toes rubbing, or other foot related problems and allows the freedom to move your foot more naturally. The material is a mix of merino wool and nylon creating a sock that is comfortable as well as practical. 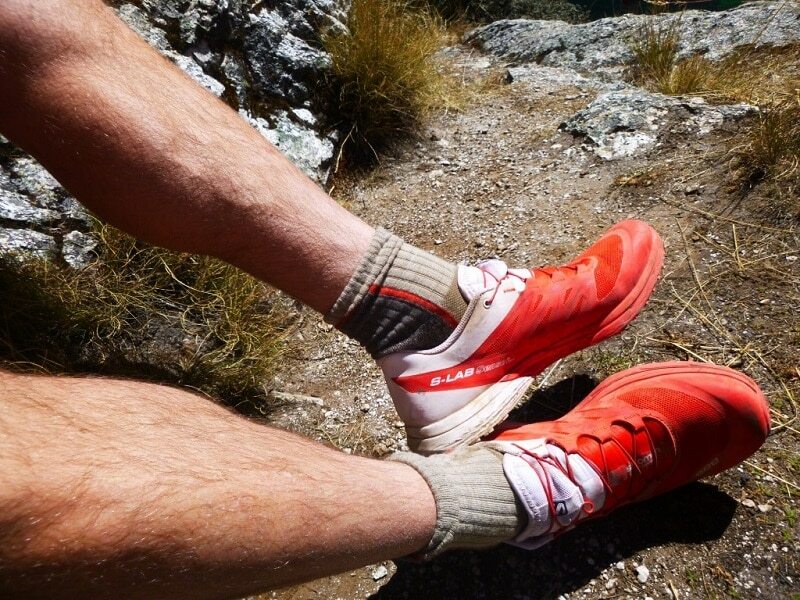 Great for hiking and running, however, they are not as durable as other socks, and can wear thin after a short time. People have particular trouble with the big toe, where holes soon start to appear. One solution is to ensure that your toenails are kept short. One other issue for people wearing boots that are a little tight is that the additional material between the toes can make for quite a tight fit. Related products: Trail 2.0 Midweight Crew – similar to the above product, but designed with additional shock absorbing cushioning and a double cuff for use on harder trails. 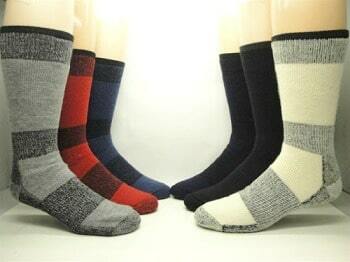 Description: A thick, heavy duty pair of merino wool socks designed to keep your feet warm and dry in snow and ice. While J.B. Extreme 30 Below XLR Winter Sock will keep your feet warm, many wearers agree that -30 is a bit of an exaggeration. 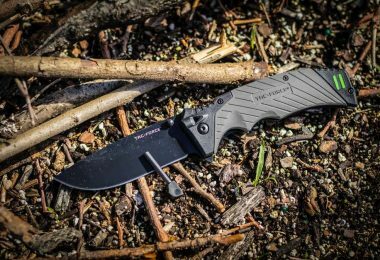 This is not to say that they will not work, but they do work best when worn during an activity such as a hiking and when you’re generating heat. For standing around in extremely cold weather they may not be the most suitable pair of socks. The reinforced heel and toe offer comfort and protection for rougher terrain and cleverly placed elastic ensure a nice fit on the arch and ankle. They do tend to fall and may need pulling up several times on a long hike, despite the double cuff. This is a very comfortable and warm sock, and it will wick away moisture, so smelly feet shouldn’t be a problem. It recommended that you order a size larger, as these socks do tend to shrink in the wash, and can be prone to pills after several washes. However, with correct care, they are a very durable sock and will potentially last for several years. Related products: Icelandic -30 Below Classic Winter Sock,-50 Below Ice Sock – two more similar socks for very cold weather, with the -50 offering an even thicker, warmer sock. 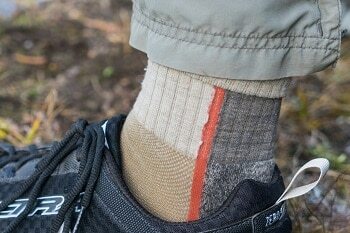 Description: For anyone spending several hours a day wearing boots, Smartwool Men’s PhD Outdoor Medium Crew Socksare great socks to consider. They will suit most needs, except in extremely cold or hot weather, and offer the wearer comfort, protection and sweat free feet. Runners and hikers will appreciate both the moisture wicking qualities of the merino wool and the breathable mesh vents in this sock. Easily machine washable with no adverse effects, they seem mostly true to size, with some recommending you buy one size up if you’re unsure. Bear in mind that they can be a little tight, in particular at the ankle. There are however no issues with the socks moving too much or falling down and overall they are well constructed. These are a durable sock that will last a long time, with only very few people having issues with the material wearing down in the heel or toe areas. Related products: Men’s PhD® Outdoor Ultra Light Micro Socks, Men’s PhD® Outdoor Light Mid Crew Socks – Similar to the above product, but in lighter weights. Buying hiking socks should be a serious consideration for anyone who takes hiking and survival seriously. Your feet need to be looked after or you’ll soon find yourself stuck. Having looked at the benefits of wearing hiking socks, and reviewing eight of the best pairs you are now armed with all the knowledge you need to find the perfect pair for you. Just remember to choose the socks that are appropriate for the conditions you plan to use them in. Ensure that they are of the correct height in order to reduce issues such as chafing on the ankle, and check that the weight is correct. You don’t want to don a pair of ultralight weight socks if you’re heading into the mountains in winter, nor do you want a pair of thick, heavyweight mountaineering socks in the desert. For most people and most conditions, a good pair of midweight, crew cut hiking socks, made from a mix of merino wool and synthetic materials will provide great comfort and protection. Do you have a pair of socks that seem indestructible? Let us know in the comments section.